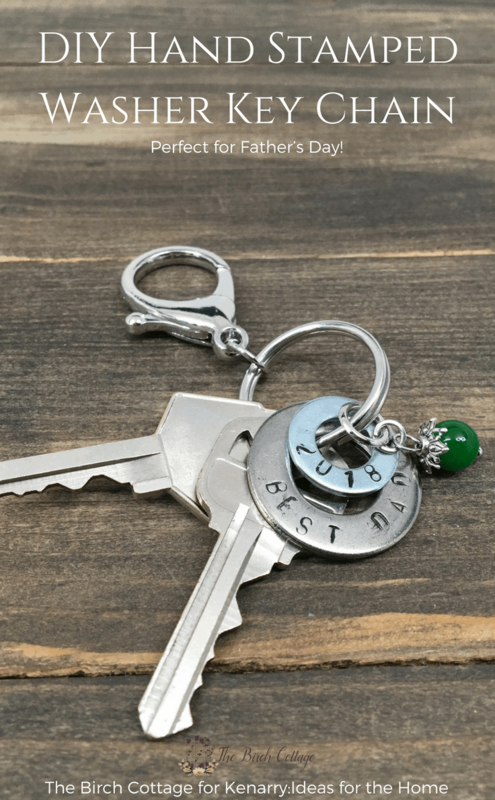 Learn how to make a hand stamped washer key chain. 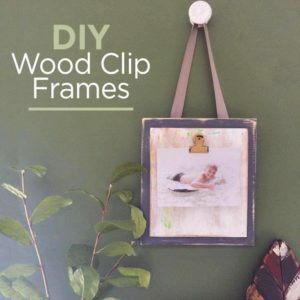 With Father’s Day right around the corner, I thought this would be a great DIY project that even the kids can help make. Hello, Ideas for the Home by Kenarry™ friends! 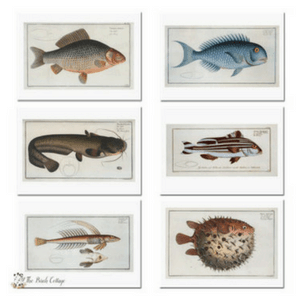 I’m Pam from The Birch Cottage and I’m back again this month to share yet another DIY project with you. So, as we thought about what to make each of our seven children and their wives, boyfriends, girlfriends and grandchildren, I came across this necklace tutorial from 36th Avenue and this one from Creations by Kara. They used washers to create custom jewelry. So, I borrowed these ideas and we made Stamped Washer Necklaces for our daughters. The design possibilities are endless. I also liked the idea of the stamped washer because you could customize the message on the washers for the gift recipient. Perfect! 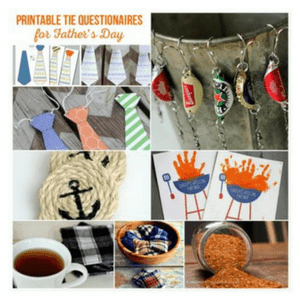 As I thought about what to share with you this month, those stamped necklaces came to mind and I wondered what I could create with them that would make a nice Father’s Day gift. Thus, the Stamped Washer Key Chain idea was born. 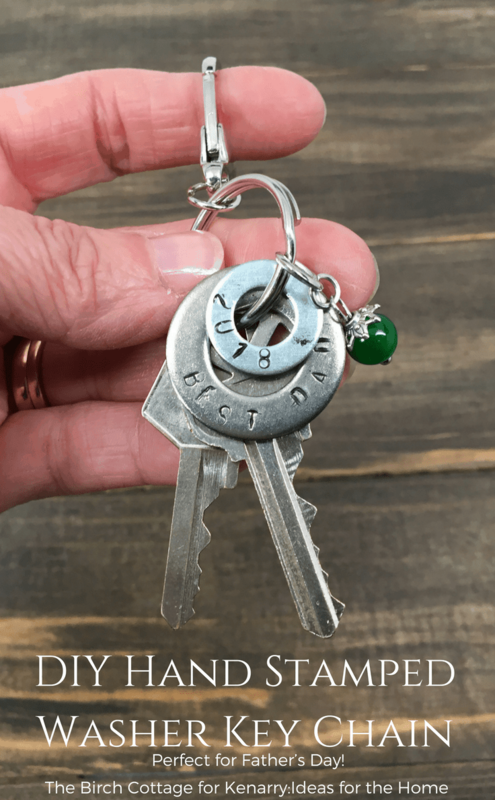 As with all projects, there are a few supplies you’ll need to get started making this stamped washer key chain. I purchased this same die set on Amazon. Since we already had the small hammer and bench block, I didn’t have to purchase those. You really do need a hard, flat metal surface for the die stamp to work effectively. I also purchased my washers from Home Depot and the charms from Michaels. You can use whatever size washers and charms you like. 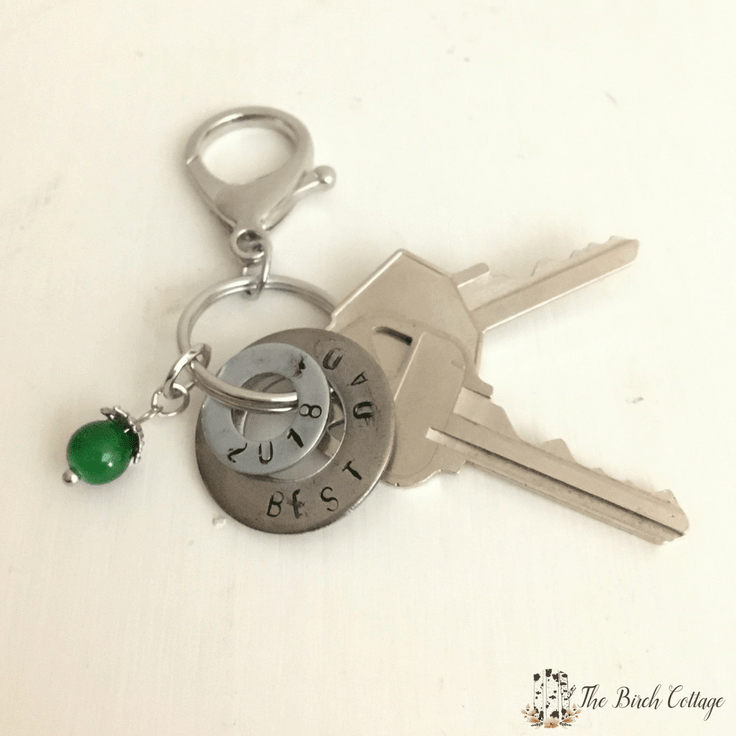 Before you begin making your stamped washer key chain, you’ll want to decide exactly what you’re going to stamp on the washers. For the necklaces that I made for Christmas, I stamped “2018” on the ¼” washer and different words on the ½” washers, like “Believe” and “Imagine”. Since this is a Father’s Day gift idea, I’ve stamped “2018” on the ¼” washer and “Best Dad” on the ½” washer. You could stamp any message you want or use your child’s name or father’s name or whatever comes to mind. The steps are pretty easy, but here’s a written tutorial. Lay the washer on the flat metal block surface. Line the die up with exactly where you want to stamp the first letter and give it a good whack with your hammer. I found that I had to tap the die a couple of times, while trying not to let it move. You’ll want to have extra washers in case you mess one up. Continue stamping out the letters on your washers. Apply a coat of black paint either with your paint pen or shoe polish; wipe off excess paint/polish. Simply slide each washer onto the keyring. Slide the charm onto the keyring. Now, that was really easy, right? 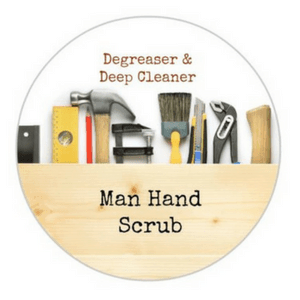 You could easily convert this stamped washer idea into a necklace for dad as well. I would recommend using leather or jute for the chain and follow the tutorial for assembling the necklace from Creations by Kara that I mentioned earlier. 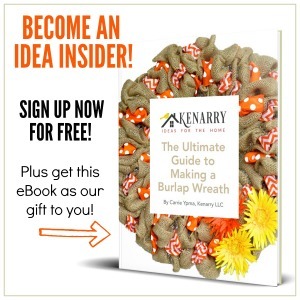 I’m sure I don’t have to tell you, but Ideas for the Home by Kenarry™ is a great resource for Father’s Day DIY ideas. 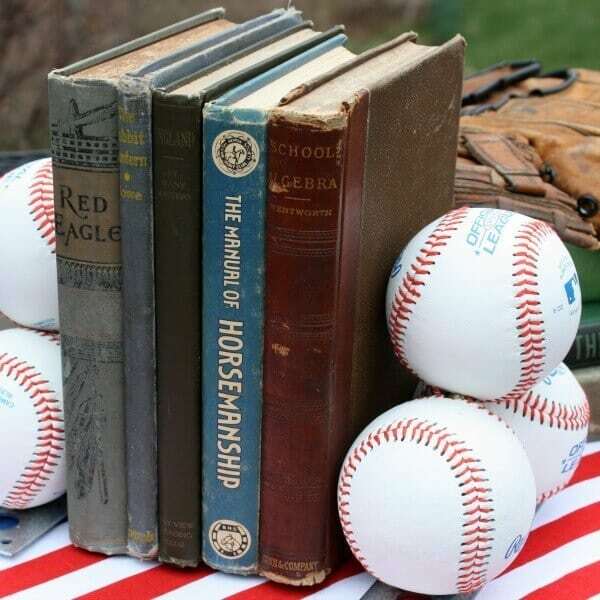 Some of my favorites are the DIY Wood Clip Frames (pictured above) that Lori from Greco Design Company shared and these DIY Baseball Bookends (pictured below) that a reader named Virginia from Sweet Pea shared. 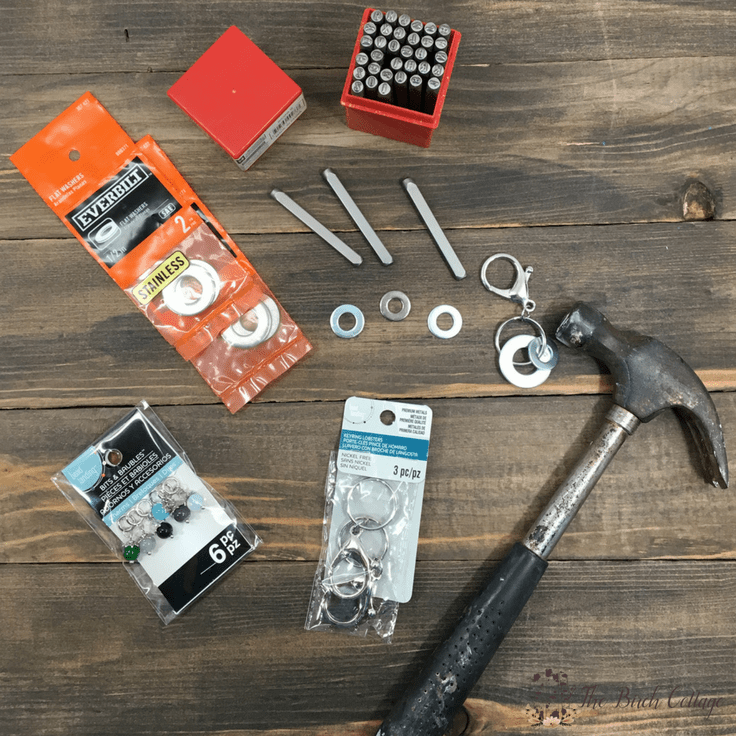 So, there you have not just one easy DIY handmade Father’s Day gift idea, but eight additional ideas and a set of free printable cards! I hope they inspire you to give more handmade gifts. I actually made several of these Hand Stamped Washer Key Chains this year. One for my husband and one for my son and one for my son-in-law. And, as I mentioned, I made several of the hand stamped washer necklaces as Christmas gifts. Our daughters absolutely loved them! 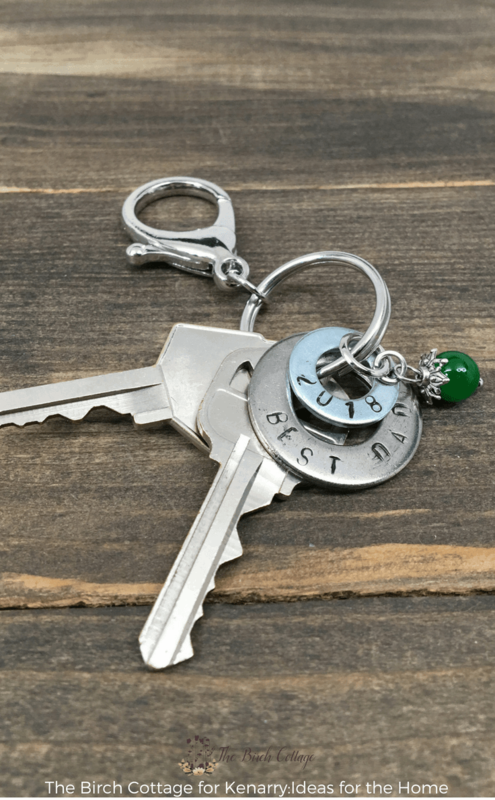 So, I’m expecting these hand stamped washer key chains to be a big hit, too! Here’s wishing all the Dad’s a Very Happy Father’s Day.